For children of all ages, physical touch is enormously beneficial. Lack of physical contact can lead babies to fail to thrive and cause depression and emotional disorders in growing children. For so many reasons, chiropractic is a great service to provide to any child. Chiropractic has been regarded for centuries as a vital aspect of a healthy life. Touch is among the first of the senses to develop in newborns, and babies respond positively to human touch both physically and emotionally. Chiropractors understand the special needs of small children and provide soothing services that is nurturing and enjoyable to babies. Children of all ages can benefit from chiropractic as a stress reducer. Stress has been linked to immune system functionality, and chiropractic has proven benefits in combating illness from asthma to eczema by boosting immunity and reducing stress. In addition, chiropractic provides much-needed human touch that helps to promote healthy emotional development. 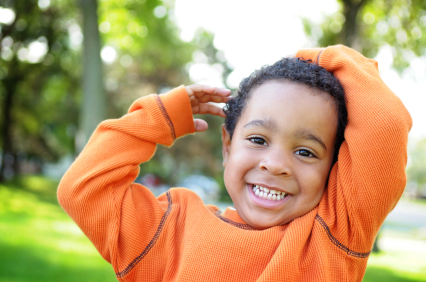 Children with special needs can benefit greatly from chiropractic. Attention deficit hyperactivity disorder, or ADHD, can be regulated with chiropractic by a trained therapist, and many clients report increased ability to focus and maintain better self-control in school with the help of chiropractic. Chiropractic can also help children fall asleep more easily, sleep more soundly and enjoy feelings of alertness all day long.